The common perception is that commercial venues have no problems maintaining natural grass because they have the resources to deal with it after all. This is farthest from the truth, though, because the reality is that they also face the same challenges that residential property owners do. Maybe instead, they should invest in artificial grass, and see how that pays off over time. In a nutshell, natural grass for lawns can be costly and tedious to maintain, regardless of the size of the property. At certain times of the year, maintenance also becomes futile because there is no preventing the summer season from drying up the soil, or the snow from burying the grass underneath. For business establishments, however, this situation is unacceptable at any time of the year because their credibility and reputation as a brand is judged a lot based on their image. Imagine yourself as a potential patron or consumer walking up to the business establishment—a hotel, a restaurant, or a shop. If the facade or the surroundings of these business do not look well-maintained, you will be less likely to be interested to check out what it offers inside. For businesses, this is clearly a missed opportunity, which could have been remedied if they presented themselves right from outside the building. If you’re a business owner, therefore, it’s time that you start seriously considering getting artificial grass for your lawns to boost your business. Invest in artificial grass today! Since business appeal is largely founded on appearances, you might as well get invested early on improving the aesthetics of your physical location. 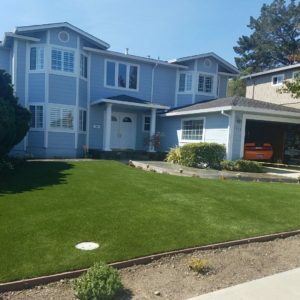 As in the example above, it could be difficult for you to entice potential clients in if they don’t think you’re reliable enough simply because you couldn’t maintain your front lawn. 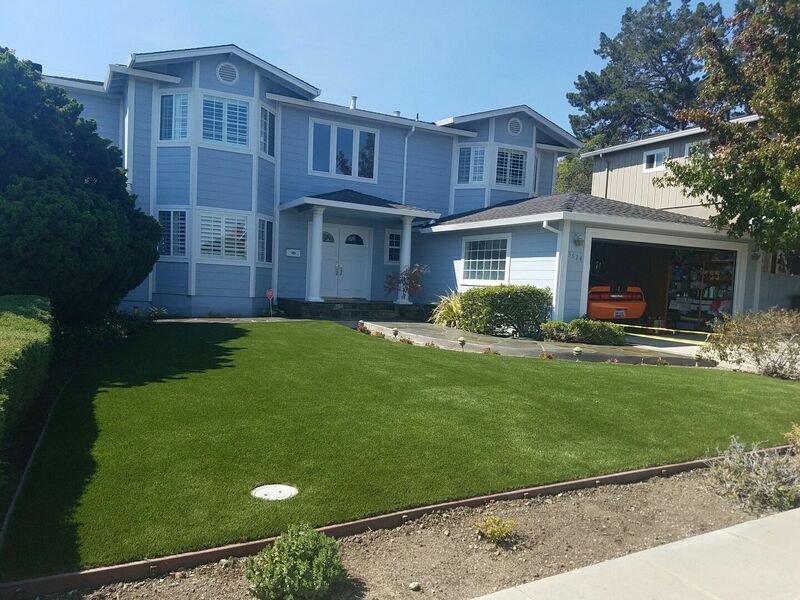 With synthetic grass, it won’t matter what time of the year it is. It’s going to remain green all year ‘round, which means your business will look welcoming no matter what day it is. You may not realize it but natural grass actually costs a lot to maintain. Not only are there fertilizer, insecticides/pesticides, and landscaping needs that have to be addressed, but the mere amount of water you need every day is enormous. Depending on how big your property is, and how much sprinklers you need to turn on for maintenance, you could easily be using up as much has 700 to 1000 gallons of water. It’s mind-boggling, but also a reality that you don’t really identify with unless you deliberately crunch the numbers. Of course it’s not to say that you’ll no longer need water absolutely for artificial grass, but at least it’s far from the usual that you’ll use with natural grass. At the most, you’ll need to hose down the turf for maintenance, just to make sure there are no unsightly stains or foul odor emitting from it after being exposed to the elements outside, day in and day out. It’s a great investment for businesses because not only does it look good all year long, but it also stays in great shape, too. No matter the heavy activity (walking, running, driving, etc.) that may be done over it, it would still remain intact. No need to worry about unsightly brown patches, holes, and uneven marks. Remember, you don’t just want your property to look good—you want it to look good for longer. It’s wonder why so many businesses want to invest in artificial grass. If you happen to be in Phoenix, Scottsdale, or other nearby areas, it’s advisable that you seek out the help of local professionals, such as Sunburst Landscaping, so their business can help out your business.